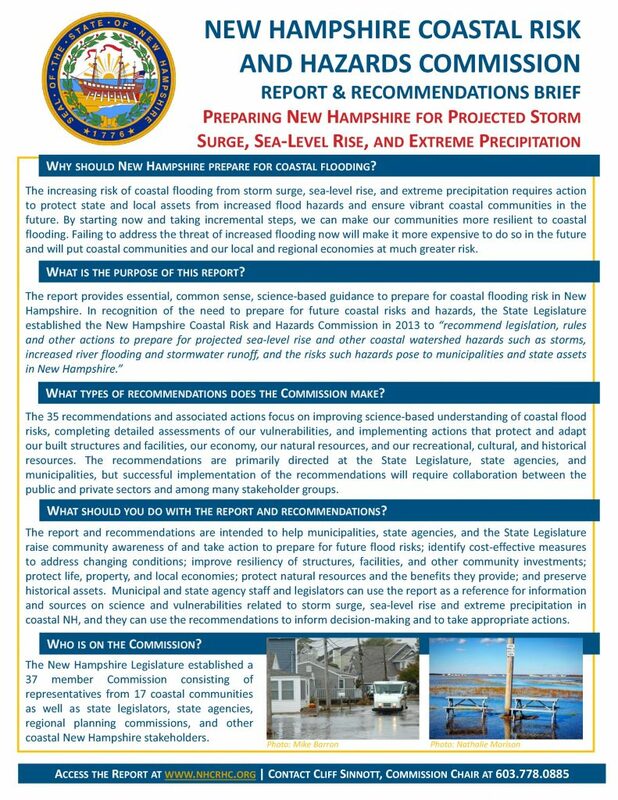 The New Hampshire Coastal Risk and Hazards Commission final report and recommendations, Preparing New Hampshire for Projected Storm Surge, Sea-Level Rise, and Extreme Precipitation, was unanimously adopted on October 21, 2016. 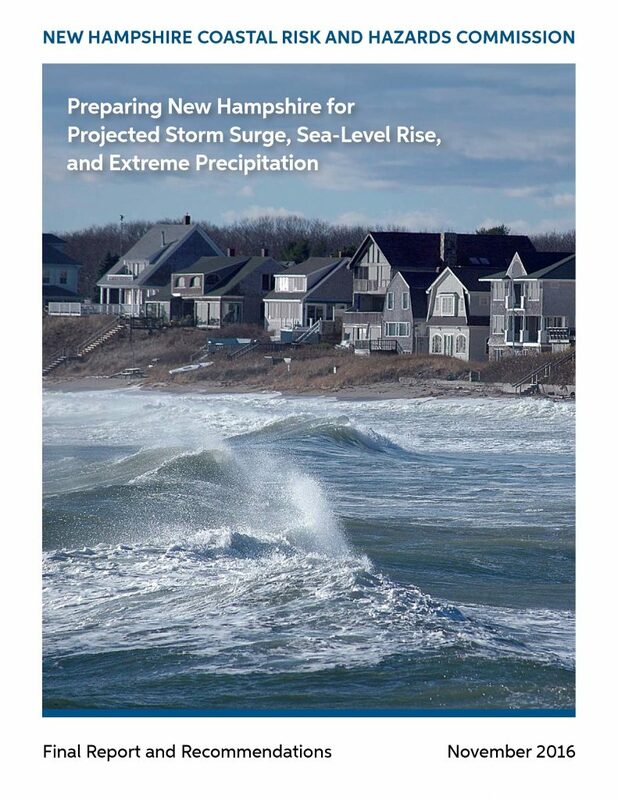 The report summarizes New Hampshire’s coastal vulnerabilities to projected coastal flood hazards and puts forth recommendations and actions for the State and coastal and tidal municipalities to minimize risk and increase resilience. 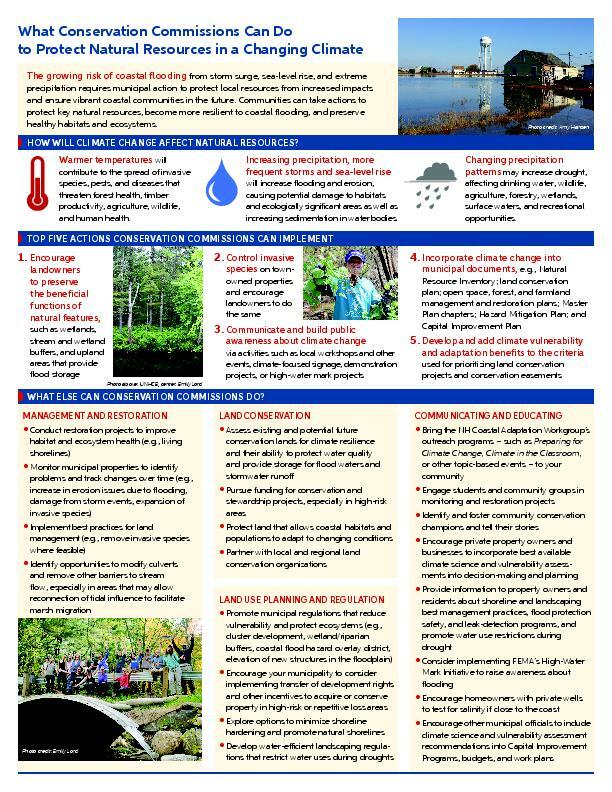 Following unanimous approval, the Commission released its draft report for public review and comment on March 18, 2016. 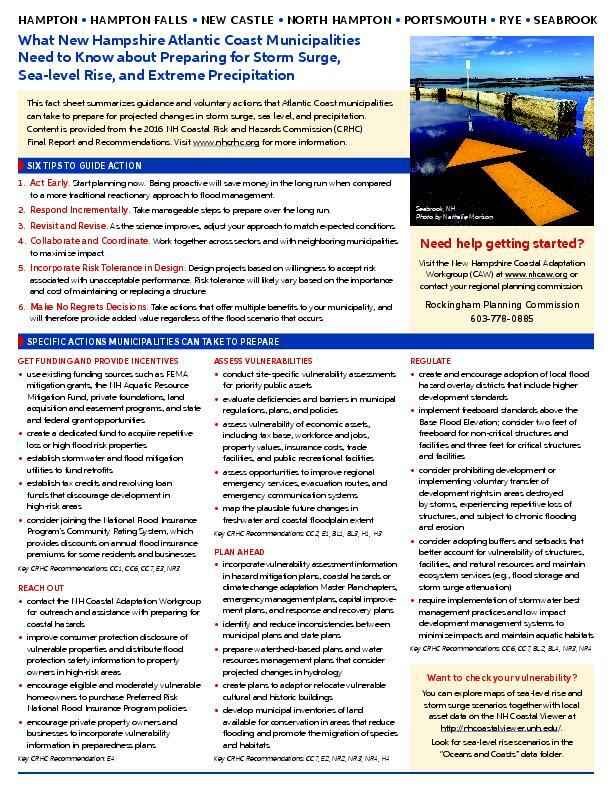 In addition to soliciting written comments, the Commission held two Public Information and Comment meetings in order to provide information, answer questions, and receive comments on its draft report. 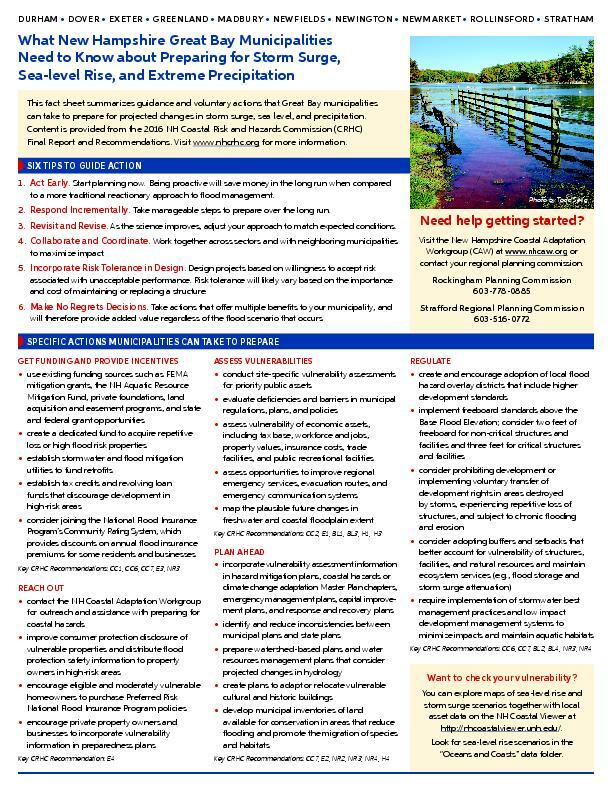 The Public Information and Comment meetings were held in Greenland, NH on May 26, 2016 and in Rye, NH on June 1, 2016. The Public Information and Comment meetings attracted 70 attendees and yielded 25 verbal comments. To view the Commission’s responses to these and the 20 written comments received, click the button below.